Power fluctuations are a common cause for various kinds of wears suffered by personal computers. Even small and ignorable spikes and surges could do big harms to the seamless performance of your System. That is precisely why your computer should be supported by a competent device that could not only prevent damage, but also data loss. V-Guard, the most preferred name in the UPS segment in India, has a solution for you the amazing UPS device named SESTO 600. These units are effective in offering stunning surge energy ratings and providing critical protection from frequent power ups and downs. 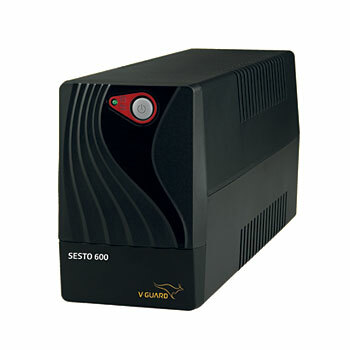 Made to efficaciously support short-time power failures and provide protection to your important data by enabling a systematic System shut down task, the SESTO 600 is priced affordably compared to various other brands that claim to offer similar ratings. Be sure. Be relaxed with SESTO 600.